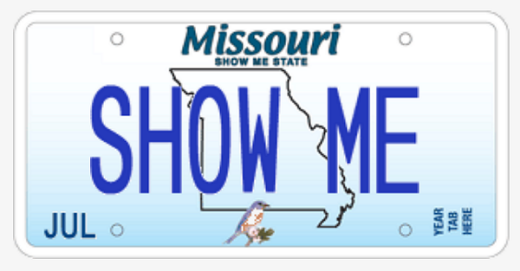 Missouri, the "Show lMe State," is known for being especially tough on poetic license violations. Bart Wilkes of St. Louis, Missouri, suffered a major cramp in his verbal style when his poetic license was revoked due to overuse. "So unfair," said Bart. "For a published - well, self-published - poet who's won major awards - well, once won first place in an elementary school limerick contest but has entered tons of others - this is an absolute - well, relative - outrage - okay, kind of a bummer." According to authorities, Wilkes's colleagues had reported that Wilkes was continually regaling students in the writing courses at the community college where he teaches (note: not a "midwestern Ivy League equivalent" as he's been known to claim) with sailing stories involving storms and high seas, loves found, and maternal souls lost. Then, one of his students discovered that, in fact, the only boat Wilkes had ever been on was a kayak (as a passenger), his most serious relationship was a week-long crush he had on his first-grade teacher, and his mother is actually a regular churchgoer who, contrary to Wilkes's assertions, never sold her soul to the devil. Wilkes's license loss has presented him with a significant quandary, given that he lives in the Missouri, the "Show Me State." Wilkes was used to people demanding that he produce evidence supporting the grandiose tales he likes to tell, and he relied on being able to show his poetic license when, as was typically the case, such evidence was lacking. Now, of course, that failsafe is off the table. Nevertheless, Wilkes is optimistic regarding his chances of having his poetic license reinstated. "Politicians never seem to have theirs pulled, and they're not even poets," he pointed out. "But Washington has much looser regulations when it comes to poetic license. Missouri is a bit stricter." Despite their role in exposing the scandal, Wilkes's students say that they support him in his efforts to regain his poetic license. "We're learning a lot more in class now," said one student, "but, boy, is it boring! I really hope he gets his poetic license back soon."